Are you struggling to find the time to promote your small business effectively? Are the weeks just whizzing by and you feel like you’re treading water, not making the progress that you’d like? Then we’re here to help! 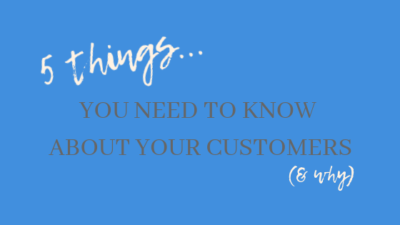 As a busy small business owner, it can at times feel overwhelming to proactively market your business on top of all the other demands on your time. 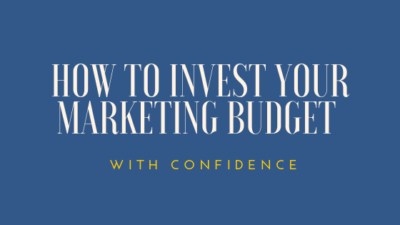 But in the absence of big budgets, little and often (regular, consistent marketing) is the key to gaining traction, building brand awareness and forming a strong foundation for making regular sales. Businesses with a plan in place are 20% more profitable than those without. 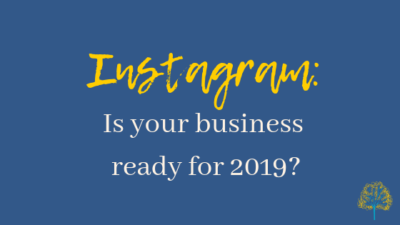 Having a succinct, targeted marketing plan for your business allows you to focus on priorities and schedule the less pressing activities for a later date. Having a manageable plan in place will also help you feel in control of your business, make confident decisions and minimise stress. Got your plan in place? Great! Now you need to break it down into actionable tasks that you can power through each week. 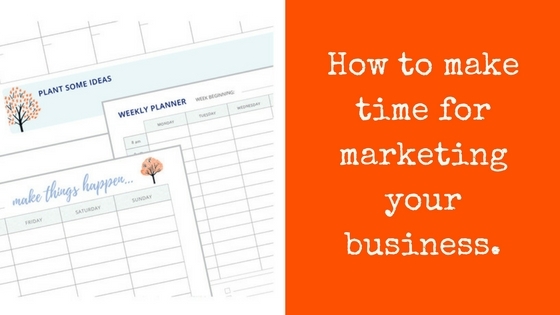 Scheduling your marketing activities into a planner will hugely increase the chances of them happening. Whether you like to use an app, online project management tool, wall planner or tear-off desk pad – the logic is the same. 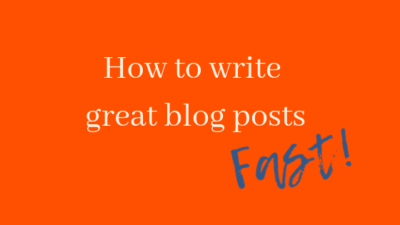 What doesn’t get written down won’t get done – fact! (Plus, it is very satisfying to see items being ticked off each day/week and progress made). Our marketing plan clients have been making great progress in their businesses using our new planners. If you’re short on time, allocate a rough time estimate to each marketing task you have jotted down. 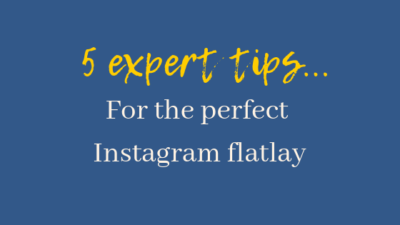 It may be a quick 10-minute phone call, a 1-hour networking group you need to attend or a ½ day social media planning session. Start by blocking out the biggest chunks of time you need first as this gives immediate structure to your week. 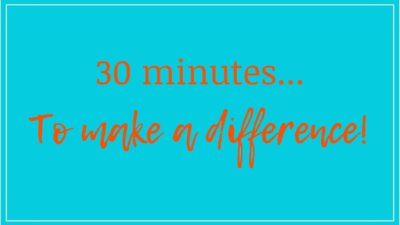 Short, 10-30 minutes marketing activities can be then be plugged into windows of free time (either planned or last-minute pockets of spare time that crop up). I often work on train journeys to make use of otherwise dead time – quiet, uninterrupted time that’s perfect for planning out my blogs or social media content! Top tip: With a wealth of planners, journals, apps and more on the market, choose something that best suits you and your style of working. I’m a wall planner, weekly planner, tear-off desk pad person (with zillions of notepads and lists on the go alongside!) 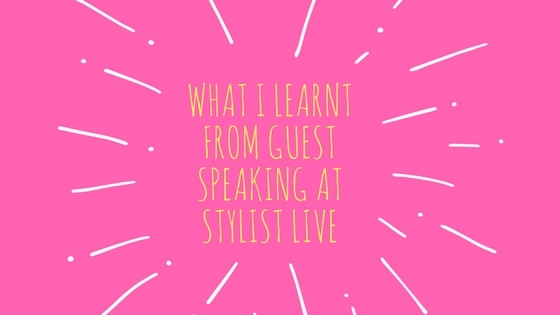 – but it also fuels my love of stationery so works for me. 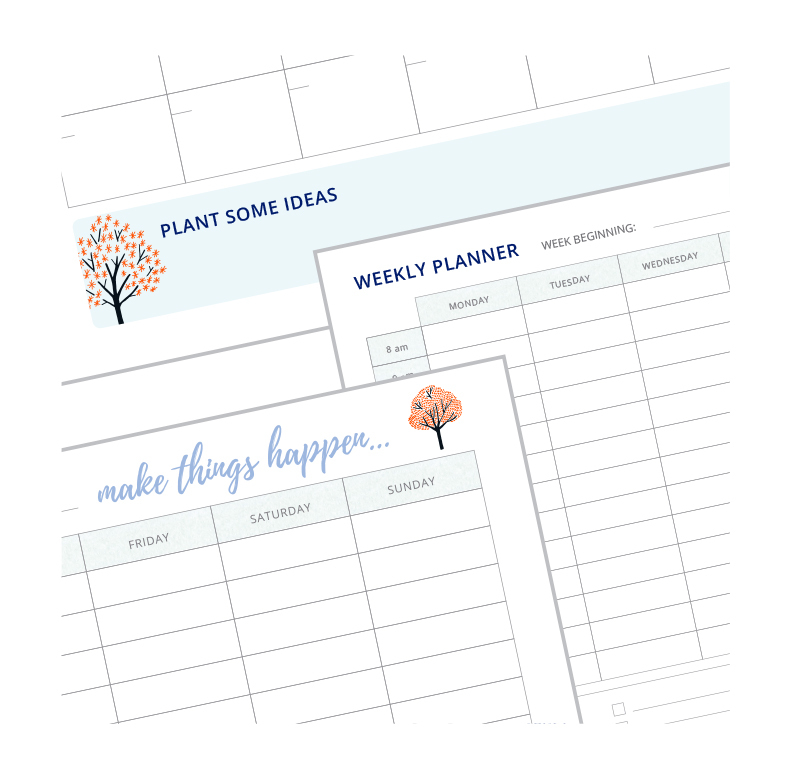 We’ve recently developed gorgeous printable monthly and weekly planners for our marketing plan clients (with a fabulous little window of ‘me time’ squeezed in! ), and they are working a treat! Thanks to the brilliant Chloe Robertson of Chloe’s Office for creating these for our fabulous clients.